Rommel, Chris, Rich, Kyle, Ryan, and Bob – great to see you guys again! 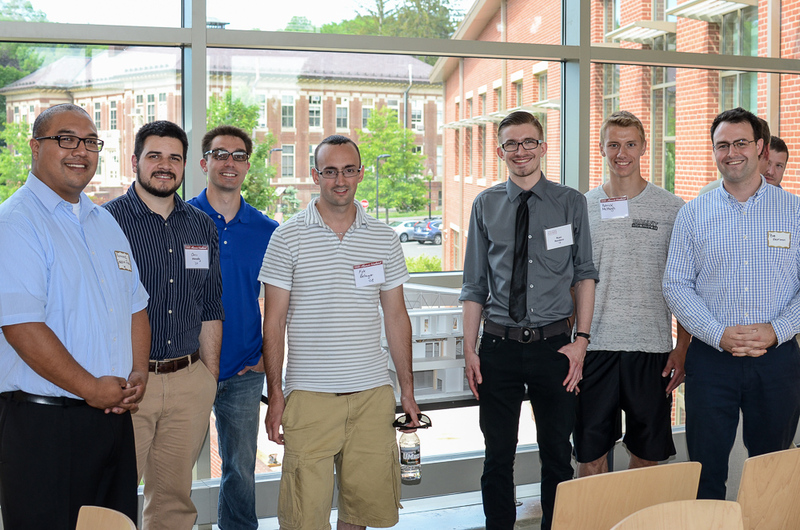 The combined BCT/Arch/LARP Alumni Weekend event on June 6th not only showcased the new Design Building, it also gave us a chance to reconnect with some of our successful alumni. Attendees came from Commodore Builders, Hill International, Integrity Design & Construction, and Next Step Living. The group photo above and the gallery below give some nice impressions of the event. You can find even more images on the BCT Facebook page. Is Kyle giving an architect a hard time?